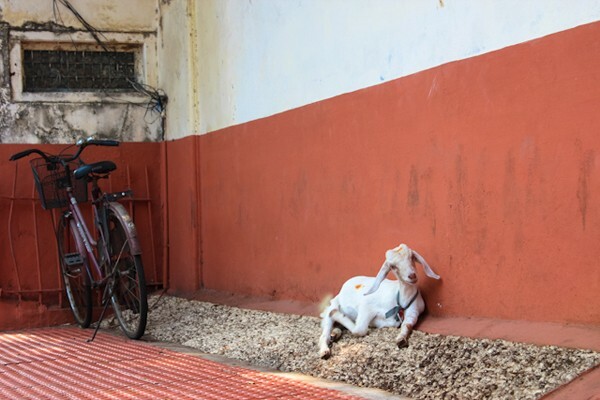 Another article from one of our 24 Best Travel Blogs and Sites: a debrief from editor on her recent trip to India. 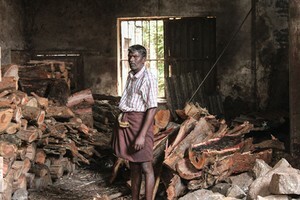 Just back from: Kerala, India. Was it your first time? First time, and certainly not my last. How long were you there? Seven days. Why did you go? A fellow editor I traveled with around Lake Como told me it was his favorite place on Earth. He spoke of cruising along a serene web of palm-fringed canals, exploring verdant tea plantations, and experiencing a vibrant local culture known for its food, hospitable people, and diverse traditions. I just had to go. Who were you with? My husband, , who is also my business partner. What was the best tip you got before you left? To indulge in and experience the many dishes of Kerala, which is known for its and variety of sweet desserts. Several friends who traveled throughout the region told us not to be shy about trying as many local dishes as our stomachs could handle. So we ate. A lot. What's the #1 tip you'd give a friend who wanted to go? 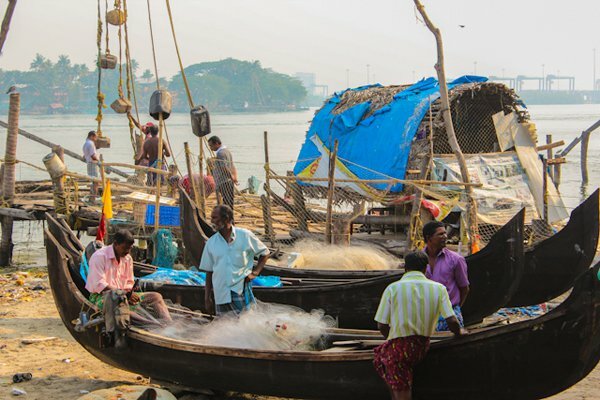 Take a canoe cruise through the canals of the backwaters, particularly in Alleppey, where people are going about their daily lives — bathing, washing clothes, and just spending time with family and friends along the rocky ledges. It will change your perspective on life. What did you do? We stayed at three different gorgeous estates owned by in different regions of Kerala. After landing in Kochi, we settled at in the heart of Fort Cochin. The intimate estate-turned-boutique hotel is within walking distance of the city's historic attractions, including the Chinese fishing nets, the Church of St. Francis, the Indo-Portuguese Museum, the Pardesi Synagogue, which dates back to 1524, and Mattancherry, an area known for its spice and antique shops. 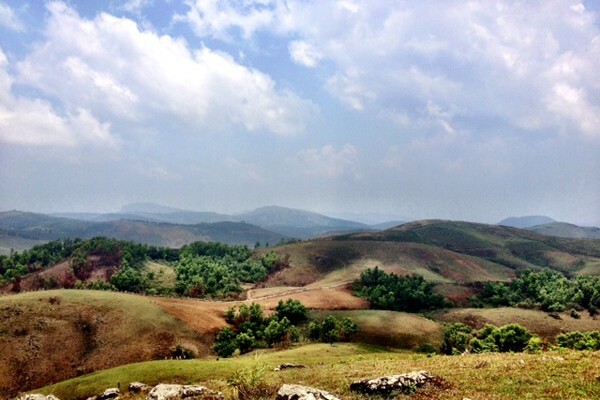 We then headed north to Kanam, a small hilltop village with a population of 3,400. We stayed at , an estate nestled deep in a belt of rubber plantations and fragrant spice gardens. Many of Kerala's tea and cardamom plantations are located within a one-to-three hour drive from Kanam, so we took a scenic dive up to Vagamon, where we toured a tea factory, traversed the towering Pine Tree Forest, and hiked up several lookout points to catch a panoramic glimpse of the rolling hills. We ended the trip in the backwaters of Kumarakom, where we cruised the placid canals of Alleppey and lazed about the pool at Purity, soaking in the vistas of Lake Vembanad. Were you there for the right amount of time? The trip was wonderful, but I would have preferred an extra day in each of the locations we visited. How did you get there? From JFK, we flew to Delhi and took a connecting flight to Kochi. We took private cars from the airport and between each of the properties we visited. Renting a car in Kerala is highly discouraged, as driving can be treacherous. 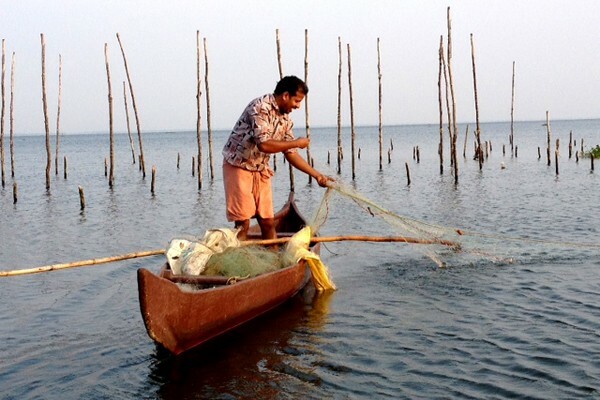 This was especially great: Cruising along Lake Vembanad at sunset on a local fisherman's canoe. He showed us the mechanics of his Chinese fishing net, constructed from raw coconut wood, and later invited us to dinner at his home. But this wasn't: Seeing how much trash was littered throughout the region. 1. Meal or meals: A delicious prawn curry prepared during a private cooking demonstration by the head chef at Serenity. 2. Neighborhood to explore: Do I have to choose? If I must, I would say it's a toss up between Fort Cochin and Muhamma, the tiny, yet lively village that surrounds Purity. 3. Site/place/thing you did: A tour through a traditional tea factory in Vagamon. What's the local speciality? Sadya, a vegetarian meal served on a banana leaf with boiled rice and a host of side-dishes typically prepared for special occasions and festivals. One thing/place you didn't get to visit, but wanted to: I would have liked to travel to Papanasam beach in Varkala. 1. Glad you packed: Propolis spray to soothe bug bites. 2. Wish you'd packed: Bug spray. 3. Didn't need: My black long-sleeve cardigan. 4. Brought back: Local tea, a beautifully crafted model of a traditional houseboat, and a small elephant carved from rosewood and adorned with ornate markings etched with camel bone. Would you go back? Yes, and this time I would travel farther south to explore Kerala's red-cliffed beaches. Any surprises? On the fifth day of the trip, a mouse found its way into my bag. I discovered him after he spent the night gnawing away at a bag of peanuts I still had from our flight. That morning I released him back into the sea of rubber trees from which he came. What was your Kodak moment? 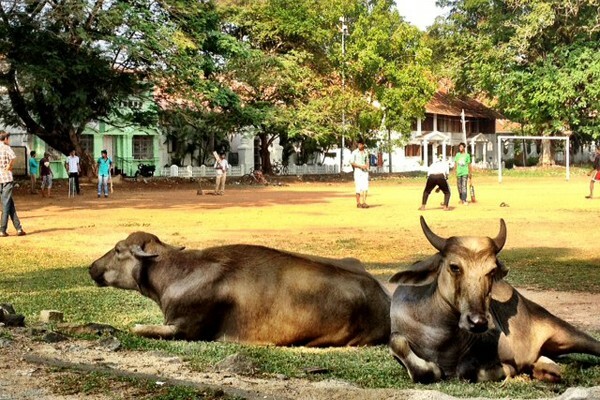 Two cows lazing away the day on the perimeter of a cricket field. It was so quintessential India. You can't stop thinking about: The warmth of the local people. On several occasions, we were invited into someone's home to have dinner or participate in a family celebration. Many of the people we met had very little, yet were willing to offer a complete stranger a warm meal and a place to hang her hat. Нашел в интернете важный web-сайт с информацией про h-school.kiev.ua. is the editor of , one of Popupla's 24 Best Travel Blogs and Websites. She lives in Princeton but spends much of her time in NYC. She travels for the raw experiences.